INVENT – INVEST – INNOVATE! This will be an IFIA demonstration of the creativity and the friendship, which are the best resources for a better World. There will also be a virtual exhibition (http://www.inventor.hu). The Association of Hungarian Inventors (MAFE) is a non-profit, public welfare organization. It was refunded in 1989 in the beginning of democratic transformation period. Between 1945 and 1989 under the communist regime the inventors did not have any organization in Hungary. The Association is a member of the International Federation of Inventors’ Associations (IFIA). IFIA is the universal acronym for the International Federation of Inventors' Associations, a non-profit and non-governmental organization created in 1968. Today, IFIA has 115 members from more than 80 countries. It is the only organization which groups inventors associations worldwide, and as such a unique spokesman for inventors. IFIA enjoys observer status at the World Intellectual Property Organization (WIPO), in Geneva, Switzerland, and is a member of the Standing Advisory Committee before the European Patent Office (SACEPO), in Munich, Germany. IFIA's objectives are to improve the status of inventors at national and international levels, and to promote cooperation between inventors associations. IFIA's activities are exercised through: all forms of publications, a web site, meetings, competitions, exhibitions and awards, assistance in creating inventors associations, promotion of inventions through a special web site called 1000inventions. 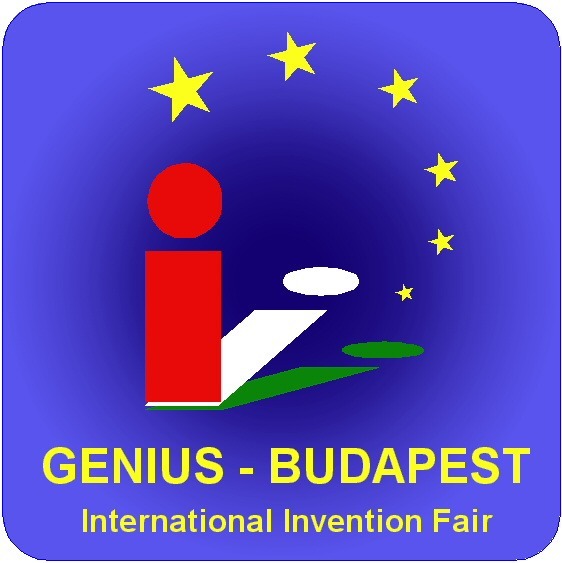 MAFE had organized the first GENIUS International Fair of Inventions to commemorate the centenary of the Hungarian Patent Law in 1996. More than 300 inventions from twenty countries were exhibited. To celebrate the 30th anniversary of the creation of the International Federation of Inventors' Associations (IFIA), MAFE had organized second GENIUS - First Inventors' Olympiad - International Fair of Inventions, and Jubilee IFIA GA with world conference in 1998. Inventors participating in this event came from nearly fifty countries. Some fifty thousand people visited the exhibition. The third GENIUS was in 2000 on the occasion of the Hungarian Millennium presented 439 inventions from 39 countries. MAFE had organized the fourth GENIUS exhibition in 2002. The message of this event was the importance of environmental protection. More than 300 environmental inventions from 80 countries (IFIA collection of 1000inventions) were good evidences. The fifths GENIUS had been organized on the occasion of the European Union’s enlargement in 2004. There were thousand inventions and works of art together presented. The Budapest Fair Centre lies on an area of 36 hectares. It welcomes partners on a 60 000 sqm gross indoor exhibition area and 50 000 sqm free area. The Budapest Fair Centre provides an environment of high quality and excellent standard as well as reliable services for nearly 30 exhibitions and venues a year. Its areas are suitable for organizing meetings for 15-50 participants, conferences for a few hundred attendees, or even congresses for several thousand participants. Inventions may be exhibited only if they have been invented less than five years ago or were not used earlier than five years ago, independently of the patent protection form or the territory where the protection is in force. In this respect all technical creations are considered to be an invention, including the industrial designs, new species of plants or animals and the computer software that have a strictly technical application. The deadline for submission is 1st July 2006. Send it by E-mail: ifia@inventor.hu (attach plain text file format and JPG file in 72 dpi only) or mail to: P.O. Box: 319, H-1591 Budapest, Hungary. IFIA members (independent inventors and associations) are entitled to get a 4 square meters carpeted show area or - in case of a collective show - a 2 square meters carpeted show area per invention (consisting of a wall, a table and a chair, as a minimum) free of charge from the organizers. Deadline of booth reservation is: 1st June 2006. For the other exhibitors the rental fee of a minimum show area of 4 square meters is HUF 100.000.- (included V.A.T. ; Euro 380.-). The entry-fee is Euro 50.- per invention for all participants. The judgment of the inventions takes place on the basis of the “Invention Entry”. The inventions will be evaluated according to their inventiveness (with weighting of 35 %), possible future benefits (with weighting of 35 %) and quality of display and presentation (with weighting of 30 %). The winner in each section will receive GENIUS Prize. The other qualified inventors will receive GENIUS medals. The GENIUS opens on 9th September 2006 at 10 a.m. and closes on 12th September 2006 6 p.m.
All fees (application fee, for renting, accommodation etc.) will be paid to OTP bank, account no 11710002-20008945 of MAFE or by cash at the office of Exhibition management. After the fees have been paid, the stand prepared by the organizers is available to the participant for his/her presentation. The exhibitor may not extend beyond the floor space rented and may only place his/her own advertisements there. Only one topic can be presented on minimum a 2 sqm. stand space. The working language of the Exhibition is English and Hungarian. The decoration, advertisements etc. may only be placed on the designated surfaces (inner stand walls) by hanging. The use of any adhesives, stapling, drilling or hammering nails will damage the surfaces. The exhibitor must pay for the repair of any damage caused. The exhibitor's objects may only be put within the floor space rented. The exhibitor's sound and light effects may only be effective within their own stand space without disturbing neighboring stands. Smoking is only permitted at designated areas. The stands should be cleaned by the exhibitors, the cleaning of the Hall will be provided by the organizers. Guarding of the Hall outside of opening hours will be provided by the organizers. The installations of the stands are made up of 1 m x 2,5m wall units. Recommended poster width: 0,9 m.
The stands include lighting, the furniture (desk, chair) only and the electric sockets (220 V, 50 Hz, 1000 W) and other appliances can be hired. (the price list and order form will be sent for request). The stands can be assembled on 8th September 2006 10 a.m. to 11 p.m. The Exhibition Hall is easily accessed by vehicles for assembling and dismantling only. The exhibits will be evaluated on the spot from 9th to 10th September 2006 between 10 a.m. and 6 p.m. The Prize Giving Ceremony will take place on 11th of September 2006 at 6 p.m. at the Fair Center. All exhibited materials should be removed on 12th September 2006 between 6 p.m. and 11 p.m. The organizers may destroy all materials left there after this time. The cars of the exhibitors can be parked in the area of the Fair Center. Foreign participants traveling to Hungary are required to hold a passport and except for citizens of European Union, a valid Visa. Please check visa regulations between your country and Hungary when making travel arrangements. Visa applications can be obtained from Hungarian Embassies or Consulates or can be obtained on arrival at Ferihegy Budapest, International Airport. Two photos are required. The official currency is the Hungarian Forint (HUF). The exchange rate: 1 EURO is about 260 - 280 HUF (April 2006), which is subject to changes depending on the daily rate of exchange. Foreign currency can be brought into Hungary without restriction. American Express, Visa, Dinners Club, Mastercard, Eurocard and others are accepted in most hotels, restaurants, and city stores, gas stations, but you should ask before ordering services. The climate during September in Hungary is mild with temperatures around 20-28 °C. The speed limit is 50 km/hour in villages and towns, 80 on roads and 120 km/hour on motorways. Hungary has zero tolerance level for drinking and driving. When driving in rural areas headlights must be turned on at all times and seat belts must be fastened. Electricity supply: 220 V, 50 Hz. There is a two pin connecting plug as in Germany, Austria but different from that used in some other countries. There are almost two hundred hotels in Budapest. It is recommended to book the room before arrival, since there are a lot of tourists in September usually. We have booked 20 rooms for the official IFIA delegates in Hotel Expo which is connects to the Fair Center.